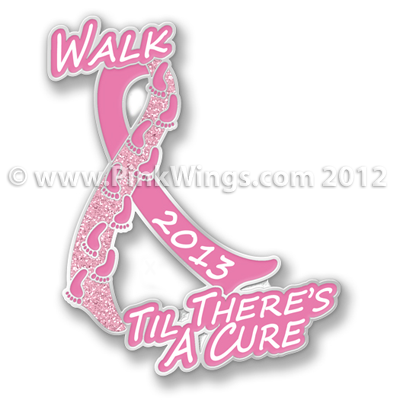 This is the collectors pin for 2013. I only have 5 of these pins left. I have always said that I will walk til we find a cure..and thought this would be the perfect saying for the 2013 walk pink ribbon pin. Pins are great qualtiy Cloisonne with military clutch back and are 1 1/4" tall. SOLD OUT!